Temptations Musical Ain’t Too Proud to Play Pre-Broadway Run in D.C. The world premiere Berkeley Repertory Theatre production of Ain’t Too Proud—The Life and Times of The Temptations will land at Washington, D.C.'s Kennedy Center for a five-week engagement that is being billed as "pre-Broadway." With a book by Dominique Morisseau, directed by two-time Tony winner Des McAnuff and choreographed by Olivier winner Sergio Trujillo, the production will play the Kennedy Center’s Eisenhower Theater from June 19 through July 22, 2018. Ain't Too Proud follows The Temptations’ extraordinary journey from the streets of Detroit to the Rock & Roll Hall of Fame. With their signature dance moves and unmistakable harmonies, they rose to the top of the charts creating an amazing 42 Top Ten Hits with 14 reaching number one. Through friendship and betrayal amid the civil unrest that tore America apart, their moving and personal story still resonates five decades later. 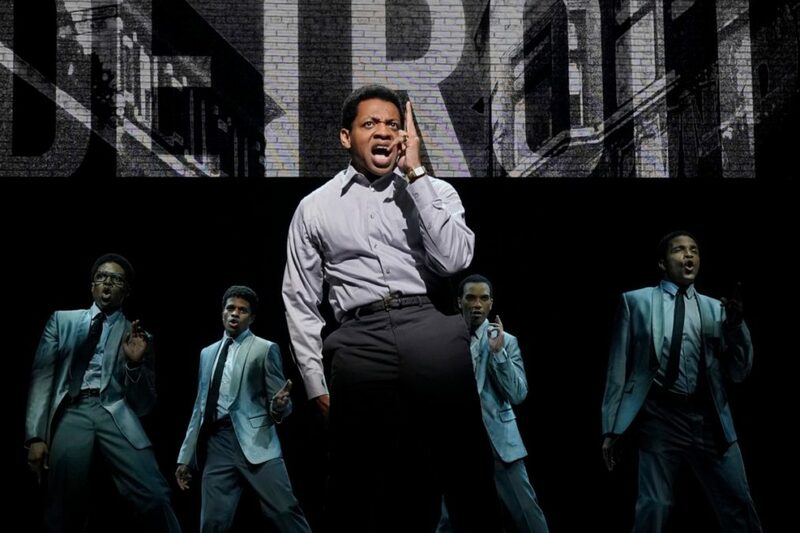 Ain’t Too Proud features an iconic score made up of The Temptations’ legendary songs including “My Girl,” “Just My Imagination” and “Papa Was a Rolling Stone.” The creative team includes Robert Brill (scenic design), Paul Tazewell (costume design), Howell Binkley (lighting design), Steve Canyon Kennedy (sound design) and Peter Nigrini (projection design). Orchestrations are by Harold Wheeler with music direction and arrangements by Kenny Seymour. The cast of the D.C. run of Ain't Too Proud, as well as further details on Broadway plans for the show, will be announced at a later date.